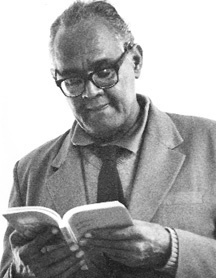 Martin Carter was born in Georgetown, Guyana, and educated at Queen’s College. He was a civil servant for some years until, as a leading political activist in radical Guyanese politics of the 1950s, he was detained in 1953. His Poems of Resistance, written during his detention, established his Caribbean and international reputation. Martin Carter was Information Officer to the Booker Group of Companies and Minister of Information and Culture in Prime Minister Burnham’s government. He represented Guyana at the Commonwealth Poetry Conference in Cardiff, Wales, and was Poet-in-Residence at the University of Essex.